Hi everyone, and welcome to the July issue of the Shanville Monthly, where it's BIRTHDAY TIME!!! In fact, as usual every year, July is DOUBLE birthday time!! First, it's my own birthday on July 2nd, and this year I will turn 42 -- brrrrr!!!! But it also marks the birthday of the Shanville Monthly, and this year the SM celebrates its much more youthful 14th birthday -- hurrah!! It's going to be a busy month for me -- I'm releasing Zom-B Clans, the eighth book in the series, near the start of the month, along with the first Zom-B Chronicles bind-up and the paperback of Zom-B Gladiator in the UK, and you can read lots about those books below. I'm also doing a short tour to promote the books, in which I'll be hitting KELLS in Ireland (County Meath), before heading to England for appearances in LIVERPOOL, MANCHESTER, NEWCASTLE and LONDON -- you can the full details for each of those in the tour section beneath this. 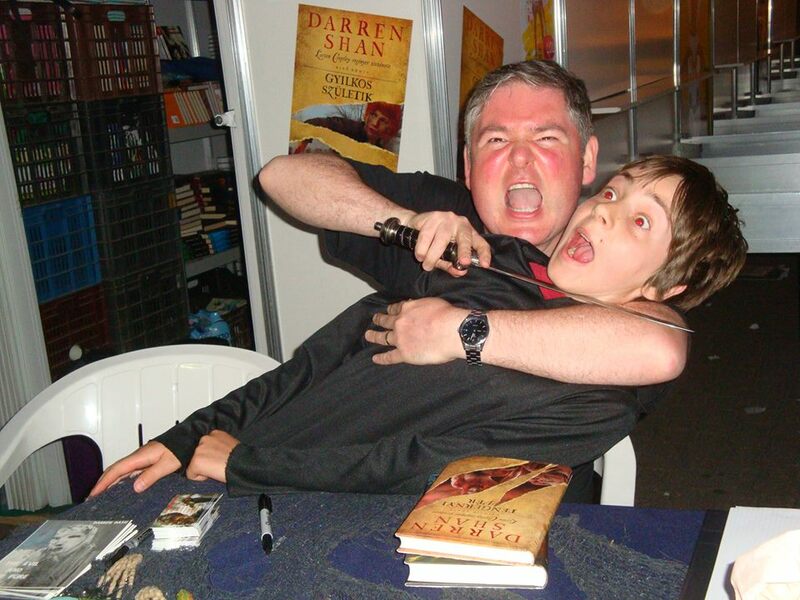 If you can't make it to any of these signings, but are desperate to get your hands on some signed Darren Shan books, then maybe this month's competition is for you! There's also news about the new Zom-B Ambassadors in the UK and Ireland... more original artwork from Zom-B Clans... info about the winners of the SFX short story competition... a report of my amazing trip to Hungary last month... and more!!! 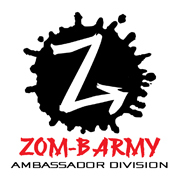 Back in the May issue of the Shanville Monthly, we asked fans to apply for the post of Zom-B Ambassador, by telling us why they thought we should choose them to help promote the series. We were delighted by how many fans responded, but ultimately we could only pick a few people, from different parts of the UK and Ireland -- although, if this works out, it's a scheme we might expand in the future. Those chosen have been sent some cool Zom-B material, most of which is due for redistribution, and over the next few months and beyond they're hopefully going to be talking the books up a storm to anyone who will listen!! We'll also be giving them the chance to have some personal time with me ahead of any of my signings and events that they can make it to over the next year and a half. We've created a Facebook page on which they can talk about how they've been promoting the books and how they've been getting on -- feel free to Like it and follow and interact with them if you wish -- you can access it by CLICKING HERE. I am doing several events over the course of the summer. Here are the details as they currently stand. If you plan to come to any of them, please note that I never impose any limits on the number of my books that I will sign, so feel free to bring your whole collection from home or buy loads of them on the day at the event! 12.00pm -- public signing, Waterstones Liverpool, 12 College Lane, Liverpool L1 3DL. 12.00pm -- public signing, Waterstones Newcastle, Emerson Chambers, Bleckett Street, Newcastle NE1 7JF. 4.30pm -- public event, Edinburgh Book Festival. Click here for tickets. Time TBC -- public signing/event, Plymouth. 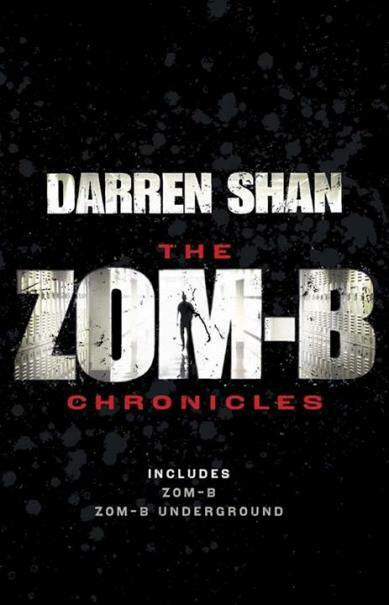 Zom-B Clans is the eighth book in the series, and it goes on sale in the UK and Ireland on July 3rd, in the USA on July 8th, in Canada on July 15th, and in Australia and New Zealand around the same time. Those are the British and American covers above -- the Canadian cover is much the same as the American version. Zom-B Clans picks straight up where book 7, Zom-B Mission, left off. It features some BIG shocks and surprises, as well as answering some of the crucial questions thrown up in the first half of the series -- such as why Dr Oystein and Master Zhang haven't been able to lead their Angels in a direct assault on Mr Dowling and his followers. Plus, if you thought the cliffhanger for book 7 was unbearable, you ain't seen nothing yet -- this one is going to leave you pulling your hair out while waiting for book 9, Zom-B Family -- but at least you only have to wait three months for it!! The pace and stakes are rising in the second half of the series, and every book from this point on provides readers with several steps upward and onwards. It's going to be a frantic, gut-punching ride all the way from here until the end -- only the truly brave will be able to tough it out!! You should be able to buy Zom-B Clans from your local bookseller (ask for it if you don't see it on the shelves), or else you can order it online, either as a hardback or an eBook. CLICK HERE to order it in the UK or Ireland, or CLICK HERE to order it in the USA, or CLICK HERE to order it in Canada. 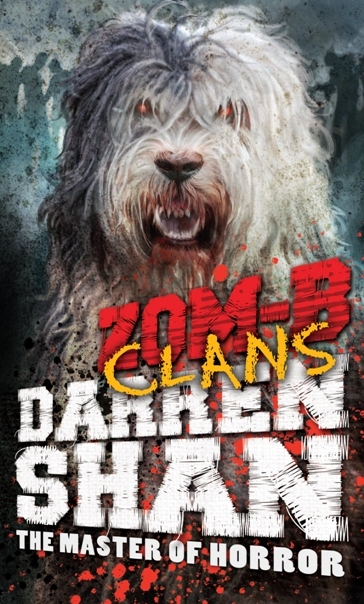 As I said above, Zom-B Clans is the eighth book in the series, and it goes on sale in the UK and Ireland on July 3rd, in the USA on July 8th, in Canada on July 15th, and in Australia and New Zealand around the same time. 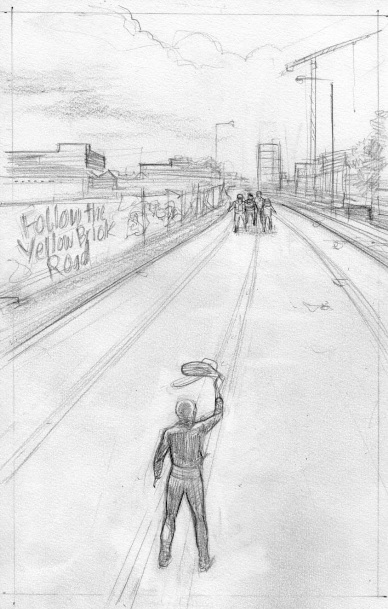 The sketches above are two of series artist Warren Pleece's roughs for the interior art. Is that Dorothy & co from The Wizard Of Oz in the first drawing?!? If only!!!! And that's not the Emerald City either, in the second!! To find out what IS going on in these two pictures, you're going to have to go read the book!!! When I publish a book, I always like to write up some notes about it on my site, to talk about the inspiration for the work, how I pulled the story together, where character names came from, etc. 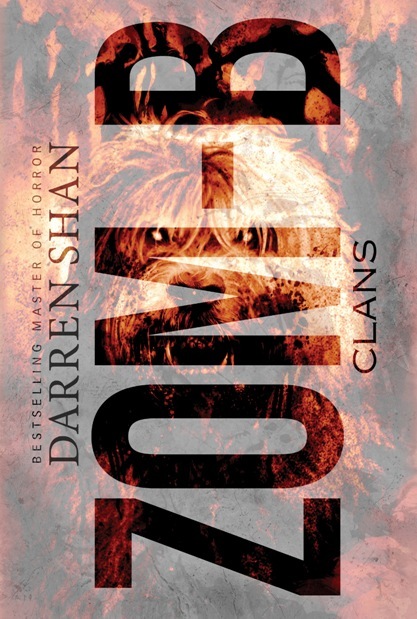 I've published my author notes for Zom-B Clans a bit ahead of its publication, though you might want to wait to read the book first, as the notes will contain spoilers!! To get all the inside scoop on book 8 of the series, CLICK HERE. My American publishers are releasing a collected paperback edition of the first three Zom-B books on September 9th. But before that, my British publishers are releasing their own collection, even earlier, on July 3rd, at the same time as the hardback of Zom-B Clans and paperback of Zom-B Gladiator. BUT the UK edition will only collect the first two books, not the the first three -- for the reason why, see last month's issue of the Shanville Monthly. Zom-B Chronicles is going to be available for £7.99 in paperback and £4.99 on Kindle, so it will offer very good value for new fans. You should be able to find it on sale in all good book sellers, or else you can order it from Amazon UK by CLICKING HERE. The plan is to release all of the books in this format, so there will hopefully be 6 volumes of the Chronicles in total, with similar style covers, but obviously this depends on sales -- in life, there are very few guarantees! 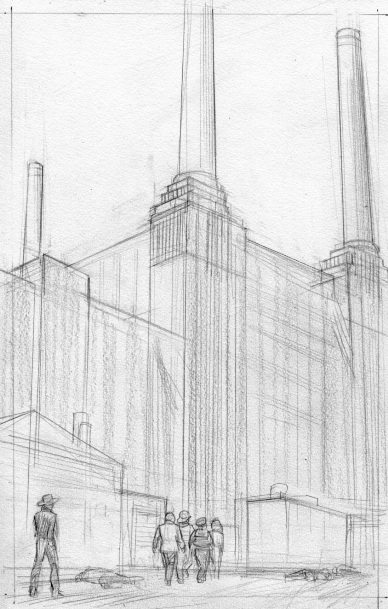 But the second volume has already been commissioned, so things are looking postive at the moment! I've added author notes for Zom-B Circus to my site, so if you want to find out why Mr Dowling is on a mission to hunt down the people who run World Book Day in the UK, CLICK HERE!!!! 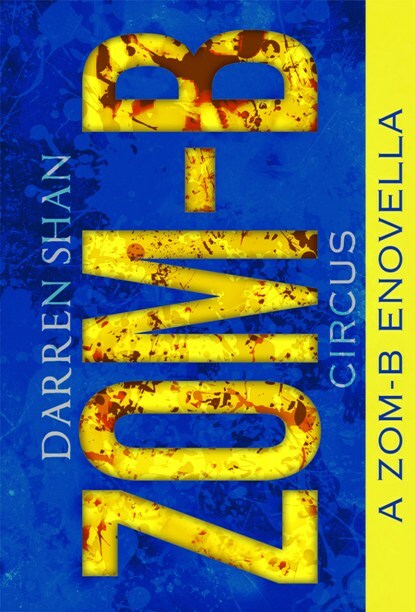 In the UK and Ireland we are selling Zom-B Circus as an eBook for £0.99 -- you can order it on Amazon UK by CLICKING HERE or buy it through any of the main eBook sellers, such as iBooks, Nook, Google Play Books or Kobo. Zom-B Circus is also going on sale exclusively as an ebook in America on September 9th, on the same day that Zom-B Chronicles (the bind-up edition of the first three books of the series) goes on sale. That's the cover above, and I'll add a link for it in a future issue of the Shanville Monthly. It's also due to go on sale in Canada in the near future -- I'll have an update about that in a later issue of the Shanville Monthly when it gets confirmed. 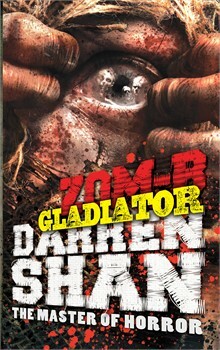 The paperback edition of Zom-B Gladiator goes on sale in the UK and Ireland on July 3rd. As with most of the UK paperbacks, it features author notes that I wrote about the making of the book. You should be able to buy it from your local bookseller, or else you can order it through Amazon UK by CLICKING HERE. The winner and runners-up of the SFX zombie short-story writing competition, which I judged, have been announced. To find out who they are (and if YOU are one of them! ), CLICK HERE. The winning short story has appeared in issue 250 of SFX, which is on sale NOW in both physical and digital format: http://www.sfx.co.uk/ I hope you all enjoy it as much as I did! The standard of short stories on the shortlist was VERY high, and it was really tricky to choose an overall winner, so congratulations to everyone who made the final cut -- and thanks the everyone else who entered to -- the staff at SFX told me it was a hugely popular contest, and the standard of entries was really high throughout. So don't worry too much if you weren't among the winners -- the competition was TOUGH!!!! I recently wrote an article for The Guardian, in which I discussed the problems parents face in trying to convince reluctant readers to give books a try. It had a lot of positive feedback from readers, and the link was shared around a lot on Twitter and Facebook. You can read what I had to say by CLICKING HERE. The new editions of books 9 and 10, the final two volumes of The Demonata, went on sale in the UK & Ireland last month. 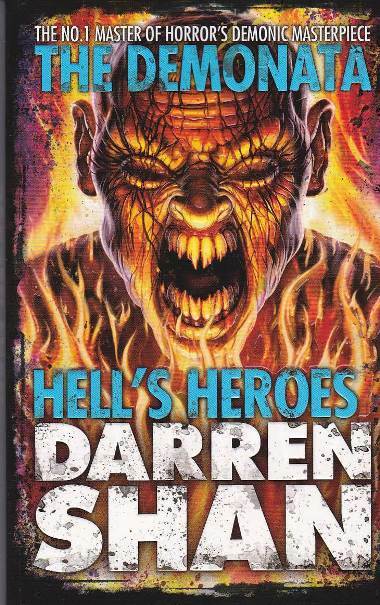 To celebrate, I am offering fifteen prizes of signed copies of books 9 and 10, Dark Calling and Hell's Heroes, in this month's competition -- and the good news is that it's open to fans everywhere in the world!! Just to clarify, each of the 15 winners gets 2 books, one copy of book 9 and one of book 10. 1) Answer this question: "What was the name of the final book in The Demonata series?" (4) Closing date is midnight, UK Time, Monday, July 14th, 2014. (8) The draw for the winners will be made on or after Tuesday, July 15th, 2014. 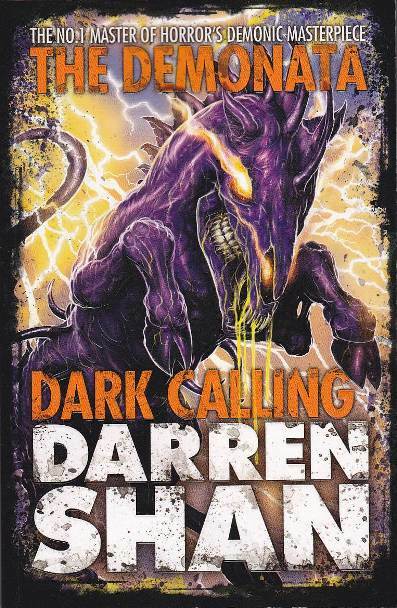 It will be a completely random draw, made by Darren Shan personally (I use an online number generator to pick the winners). I will try to notify the winners by e-mail, and will post their names on the Shanville Message Board, in the July issue of the Shanville Monthly, and possibly on Twitter and Facebook too. ALBA ROSSANA NOH AYALA, MEXICO. AGNES VAN DE GENACHTRE, BELGIUM. There were 250 correct and valid entries in total. My thanks for everyone who entered. Congratulations to the winners, and better luck next time to everybody else! I was very pleased to see Zom-B shortlisted for the Wyoming Soaring Eagle award for 2014/2015. I won this back in 2004 for Cirque Du Freak, so it’s encouraging to see that my books are still popular with Wyoming readers! I’m up against some stiff competition this time, so I’m not sure if a repeat victory is on the cards, but it was great to be nominated, no matter what. To check out the full shortlist, CLICK HERE. 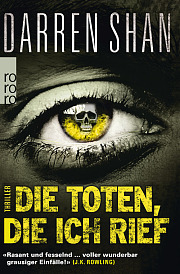 The mass-market paperback edition of Die Toten, Die Ich Rief, the German translation of Lady Of The Shades, goes on sale in Germany on July 1st. You can read more about the book, and buy it via its German publisher, by CLICKING HERE. I love the AWESOME mention of my books in this Sunday Express article on the difficulties involved in getting children to read more books! To access it, CLICK HERE. I was very sad to hear that the comedic actor Rik Mayall had died in June. I'd been a big fan of his since catching him in The Young Ones on TV many, many years ago. I loved him in a later show called Bottom too, as well as in Blackadder of course -- WOOF! If you've never seen any of those shows, my advice is to check them out ASAP, to catch an incredibly hilarious wunderkid in action!! I posted a Facebook message when I heard the sorrowful news, part of which was picked up by the Daily Telegraph and featured in an article about him -- you can read that by CLICKING HERE. As most of you probably already know, I started publishing my books for adult readers under a different name earlier this year. The first book was published as en eBook, all around the world, in February, and I'm hoping to release the second later this year if possible, though I never rush my books, so I can't guarantee that. The book has been picking up very positive reviews from readers on Amazon, and my first few interviews under the new pseudonym were published in April and May. If you're interested in reading them and learning a bit more about my work for older readers, you can find a link to them in the Blog on my adult site, but you'll need to verify your age first by CLICKING HERE. My Hungarian publishers ran a competition ahead of my events, where fans were invited to take photos of themselves with one or more of my books. There were some wonderfully inventive snaps -- including one of Daniel from the photos above. You can see the entries by CLICKING HERE. The line-up for the Young Adult Literary Convention - or YALC as it’s more catchily known - at the London Film And Comic Con has been revealed in all its spine-tingling glory! I’m going to be there on SATURDAY JULY 12th, and you can check out the Saturday listings by CLICKING HERE. signing from 1.15 to 2.15pm. signing from 5.15pm to 6.00pm. You can find out more info about the Comic Con HERE. And THIS is the link for the Sunday YALC events, for anyone who wants to make it a REALLY jam-packed weekend of Young Adult Authors!! * I was of course just joking about not knowing the names of my fellow panellists!! I think, with four of the genuinely biggest names in YA horror gathered together for the first and maybe only time ever, it’s going to be an amazing event — or else it will defend into chaos and fisticuffs! Either way, it’s going to a lot of fun to watch!!!! Speaking of Edinburgh, I was very pleased to see my upcoming appearance mentioned in a couple of “Best Of The Festival” articles recently. First my event was listed as one of the Top 10 YA Must Sees: CLICK HERE Then I was one of a few select children’s authors listed by this site too: CLICK HERE. One of my books is among the titles listed in a new short eBook called The Top 25 Books For 8-12 Year Olds, but you'll need to go buy the book to find out which one the author chose! There are lots of other cool recommendations in it too -- well, 24 more, to be precise!! To check it out, CLICK HERE.